The East Midlands TRF is an active group of trail riders made up of members from Derbyshire, Nottinghamshire and Leicestershire. 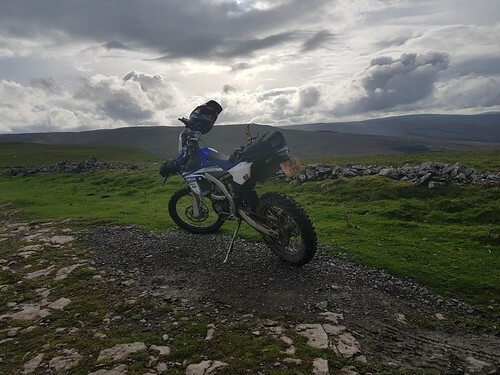 If you have a road legal motorcycle and want to ride and explore legal trails within some of the most breathtaking countryside around, then this is the club for you. If having fun, meeting new people and discovering new places to ride sounds appealing, then what are you waiting for? Welcome to the East Midlands TRF. details of when and where can be found on the Join page. Our club holds a monthly meeting on the 2nd Wednesday of each month ( Join Us Page ), with an organised ride out the following Sunday. When travelling further afield for example, The Lake District / Wales or Devon, weekends away are planned. Members have the option to ride both Saturday and Sunday or either of the days that suit. It’s entirely up to you. Take a look at this website and then come along to one of our meetings. New and non members welcome. Some of the pages on this site are restricted to members only! The Trail Riders Fellowship (TRF) is the national, voluntary and non-competitive body formed in 1970 by people who enjoyed exploring ‘Green Roads’ by motorcycle. Our aim is to conserve our heritage of Green Roads for everyone to enjoy. Trail riding is an active recreation. 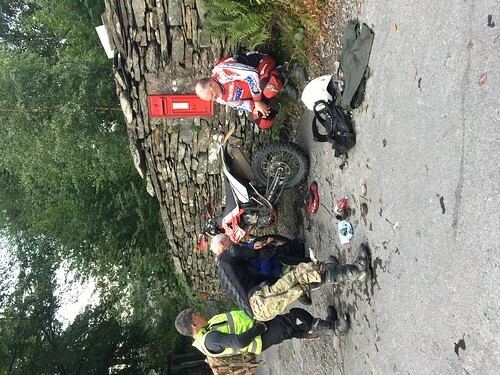 Our members do not ride on illegal routes E.g. Footpaths and Bridleways. Our members do not ride inconsiderately and do not wish to be involved in or cause confrontation with other countryside users. Some of our recent antics!